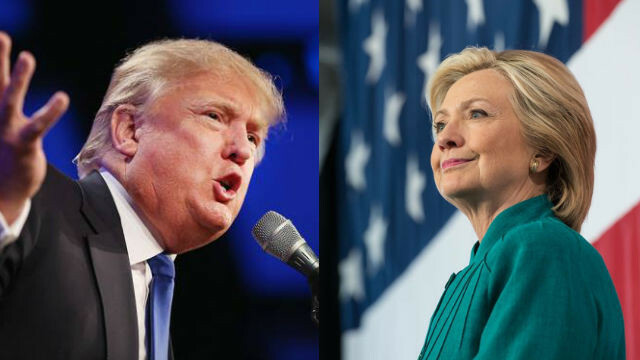 Democrat Hillary Clinton and Republican Donald Trump will face off for the first time on Monday in a presidential debate that could rank as one of the most watched and highly anticipated political showdowns in U.S. history. The tight race for the White House and the unpredictable clash in styles between well-known but polarizing foes has generated wide interest in the potentially pivotal encounter, which comes six weeks before the Nov. 8 election. The size of the television-viewing audience is expected to challenge the presidential debate record of 80 million who watched the 1980 encounter between Democratic President Jimmy Carter and Republican Ronald Reagan. The 90-minute debate will begin at 6 p.m. Pacific Time at Hofstra University on New York’s Long Island. It is the first of three planned presidential debates. Both Trump and Clinton, who polls show are the least liked White House candidates in modern history, hope to use the debate to erase lingering voter doubts and address campaign-trail weaknesses. The volatile Trump, a New York businessman and former reality television star, will get a chance to show a depth and steadiness worthy of a credible commander in chief, while the cautious Clinton will be able to try to connect directly with voters who do not trust her, strategists said. But Trump, a political newcomer who has often shown more affinity for putdowns than policy, could benefit from lower expectations from voters. The stakes are enormous. The debate comes as polls show Clinton’s once sizable lead over Trump has evaporated amid more questions about her family foundation and her use of a private email server while secretary of state under President Barack Obama. A Reuters/Ipsos poll released on Monday showed half of America’s likely voters would rely on the debates to help them make their choice. More than half, 61 percent, were hoping for a civil debate and were not interested in the bitterness shown on the campaign trail. Clinton, 68, and Trump, 70, have regularly exchanged sharp insults, raising the prospect of a fiery grudge match. Trump frequently refers to Clinton as “Crooked Hillary” and has called for her jailing for the email controversy. Clinton condemns Trump as temperamentally unfit for the White House. Trump dominated the crowded Republican debates with rapid-fire attacks on his rivals but he has no experience in a one-on-one debate setting that requires more prolonged discussion of issues. Clinton has participated in many one-on-one debates on the national stage with Obama during her unsuccessful 2008 campaign for the Democratic presidential nomination and with U.S. Senator Bernie Sanders in their Democratic nominating race earlier this year. Clinton’s camp has done its best to raise the bar for Trump, and in television interviews on Monday both campaigns tried to frame expectations. Trump campaign manager Kellyanne Conway, separately on NBC, said Clinton’s vast experience was unlikely to translate onto the debate stage, where Trump held an advantage. “He’s not going to be robotic and scripted,” she said. The role of moderator Lester Holt of NBC News also has come under scrutiny ahead of the debate with the Clinton campaign and her Democratic supporters urging him to correct Trump if he makes false claims. Trump also has tried to influence Holt and the moderators of the other showdowns with Clinton, saying the candidates should be the ones to correct the record. But in a year when outsiders like Trump and Sanders have made a mark, Trump’s best argument could be that he is a better agent of change than Clinton, said Scott Reed, a veteran Republican operative who is now chief strategist for the U.S. Chamber of Commerce. “He’s got to draw the contrast between Trump as the candidate of change and Clinton as the candidate of more of the same,” Reed said.